I’ve always been a fan of Asian cuisine. If you’ve been reading my previous blog posts, you’d know that I’m a huge dumplings/dim-sum lover, and this upgraded okonomiyaki from Chibo will definitely get a go signal for me to try. Unagi Kabayaki Ju – Freshwater Japanese Eel marinated in Sweet Sake and Dark Soy Sauce. Mixed Seafood Ju – Norwegian Salmon, U.S. Scallops, Squid and Tiger Prawn in Salt Garlic Sauce. Seafood fans unite! 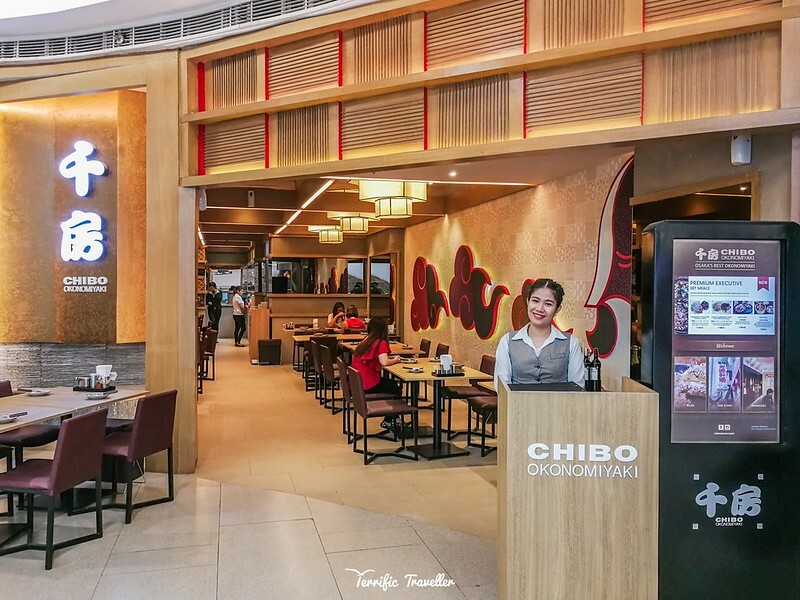 (that includes me) Chibo Okonomiyaki will surely give your palate a big hit of mouthwatering aquatic goodness as you indulge in their masterfully crafted seafood set meals. These two are probably my favorites among all set meals – because I’m a seafood lover like that. US Angus Ju – U.S. Prime Angus Steak in garlic ginger wine sauce. Pork Ju – Spinach, onions, and pork belly slices in Shoyu Wine Sauce. Where are the meat at? well here you are looking at two set meals for all y’all meat lovers. Their Angus and Pork meals were both flavorful and tender, you’d want another meal to go. I’d personally recommend the Angus Steak Ju for maximum satisfaction. Hamburger Steak Ju – Grated Pork and Beef mixed with onion, garlic, and panko flakes. Osaka Meal – Half Okonomiyaki and half yakisoba with mentaiko mayo. Yes, that’s a hamburger meal – because why not? Everybody loves burgers anyways, so why not have it incorporated with other sumptuous ingredients for a more terrific dish right? and behold, our first meal feature with okonomiyaki! by now you should already know what an okonomiyaki is, and knowing what’s inside this heavenly Japanese pancake assures us only the freshest and best quality ingredients goes inside our hungry tummy. And oh, yakisoba is a Japanese stir-fry noodle dish. Chibo’s version was lip-smacking! 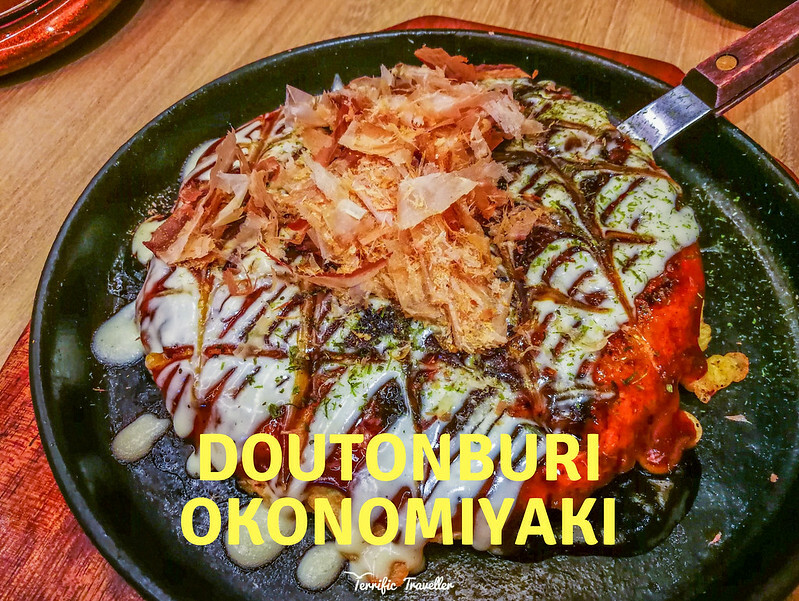 One of Chibo Okonomiyaki’s bestsellers, the doutonburi is an upgrade of the classic – where a flavorful mix of beef, pork, shrimp, topped with velvety cheese and bonito flakes completed this authentic Japanese pancake, giving guests a warm welcome to Dotonburi – a famous tourist destination in the City of Osaka in Japan. 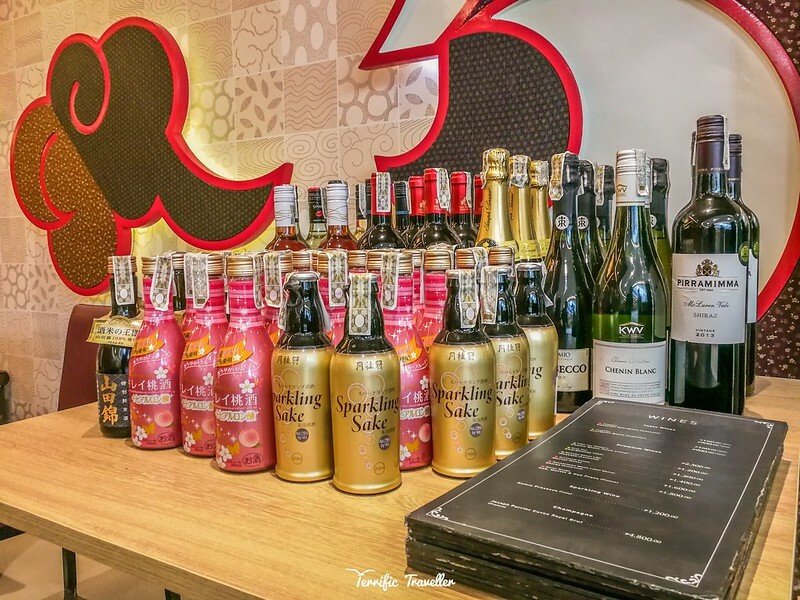 If you wish to enjoy your meals and okonomiyaki with authentic Japanese beverages, look no further, Chibo Okonomiyaki has a lot of them for you! Make sure you check the alcohol content, and to always drink moderately.